If you’re like me, you love to marvel at the sometimes hidden, and often under-appreciated collection of beautiful architecture that still stands in our fair city. Unlike many major cities in the U.S., St. Louis has a deep treasure trove of many styles of architecture, both commercial and residential, that has been well-preserved for well over a century. Sure, some of it is lost–destroyed or left to crumble by short-sighted owners or caretakers over the years–but a large stock still exists, and you don’t have to look too hard to find it. 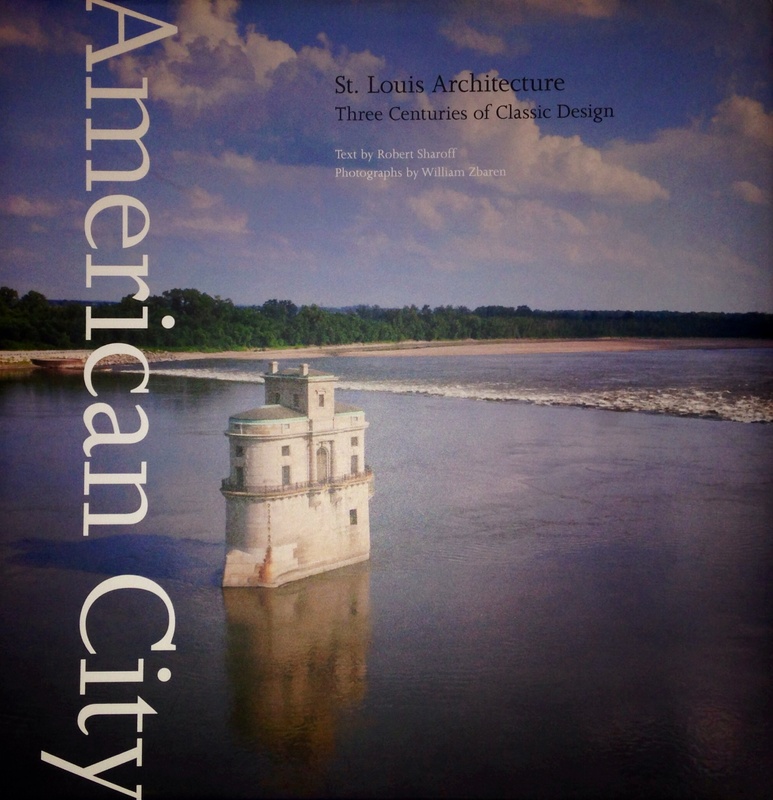 The wonderful publication I’m highlighting in today’s post, entitled American City: Three Centuries of Classic Design, superbly chronicles some of our most notable structures, with crisp color photos that perfectly complement the work of the architects that created them. Many of the documented structures are familiar to us: Like the Old Post Office, the Central Library (vastly refurbished since the book’s publication), the hulking Merchandise Mart, the Civil Courts Building and the Missouri Athletic Club. Landmarks all, to be sure. Other treasures aren’t quite so obvious, but are all deserving of an examination: The Wainwright Tomb in Bellefontaine Cemetery, the Compton Hill Water Tower, the Lionberger House, and the Bee Hat Building, to name but a few. Author Robert Sharoff provides a concise description of the great variety of structures he includes in the book. William Zbaren’s photographs are masterful tributes, capturing both the overall majesty of the buildings, as well as small inset shots depicting the most minute details. Even these shots are miniature masterpieces. Mark Twain once stated, “The first time I ever saw St. Louis I could have bought it for six million dollars and it was the mistake of my life that I did not do it.” Well, no matter what it was worth on that fateful day in Twain’s life, it is, thanks to our architectural treasures, priceless today.